Observation - Butterfly orchid - UK and Ireland. 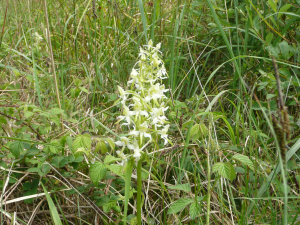 Description: This is one of about 30 greater butterfly orchids in the same location -spot the crab spider! This is one of about 30 greater butterfly orchids in the same location -spot the crab spider!